With its unique contemporary design and open-plan layout, the Pinyon is the perfect balance of modern and comfortable for relaxed retreat your family will love. The Pinyon with loft offers 2,063 square feet of split-level living space with four bedrooms and three bathrooms and a striking architectural design. The Pinyon is the largest floor plan available and sleeps up to 8 people. The unique contemporary design maximizes views with floor to ceiling windows and two covered decks. 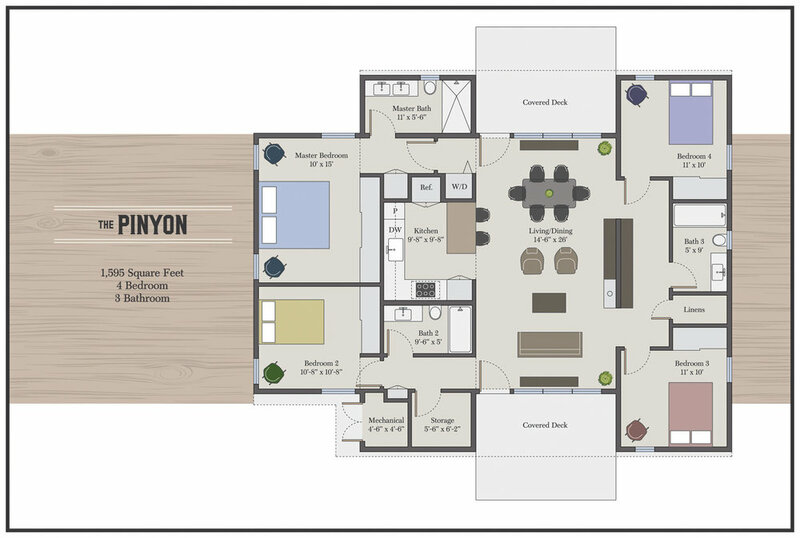 The standard layout for The Pinyon offers single-level living with all of the unique features and amenities of the loft option. 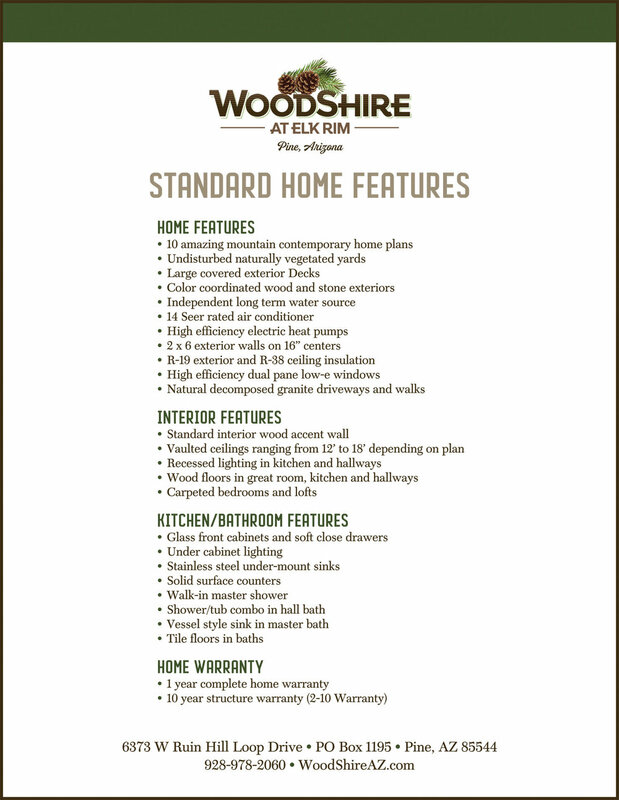 The standard layout includes 1,595 square feet of living space with two bedrooms and two bathrooms and sleeps 4 people. The Pinyon with loft floor plan is spaciously designed with bedrooms separated in each wing of the house. The Pinyon with loft includes two large covered decks and the option of an optional fourth bathroom in the loft. The Pinyon standard floor plan offers a stunning modern floor plan with open living and an expansive wraparound deck.